Dont' miss out on this NEW courts ranch roper for ONLY $1695.00. Call for more information! Keep your horse knowledge up during the cold weather with our great selection of Western horseman books! 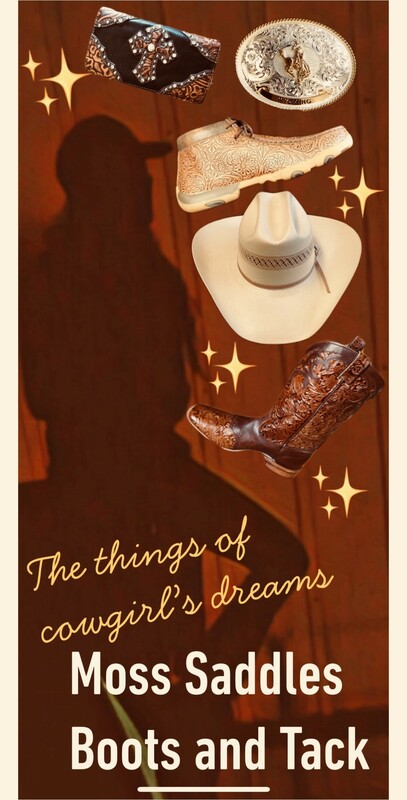 Get your lil Cowgirl started out right! 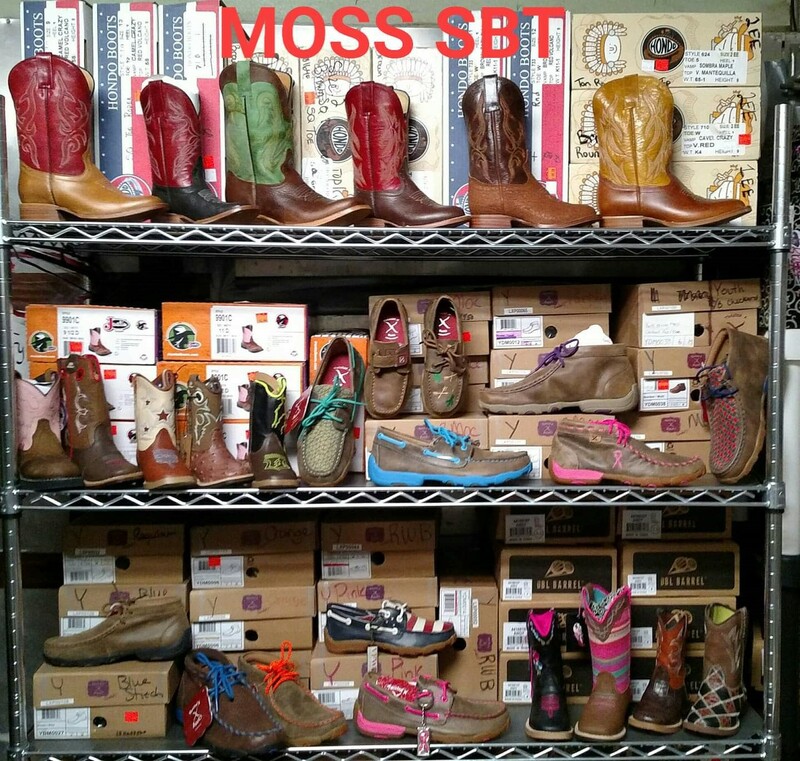 Shop Moss Saddles Boots and Tack! Whether you're competing in team roping or barrel racing, make sure you and your equine partner always perform your best. Make sure the crowd notices you as you and your horse race to beat the clock. 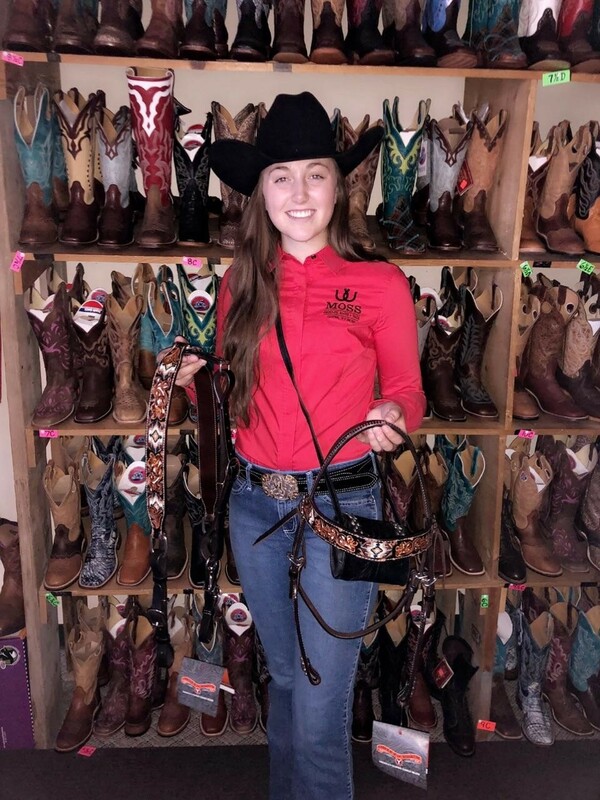 Win with Moss Saddles Boots and Tack.Cowboy up with quality at reasonable prices. 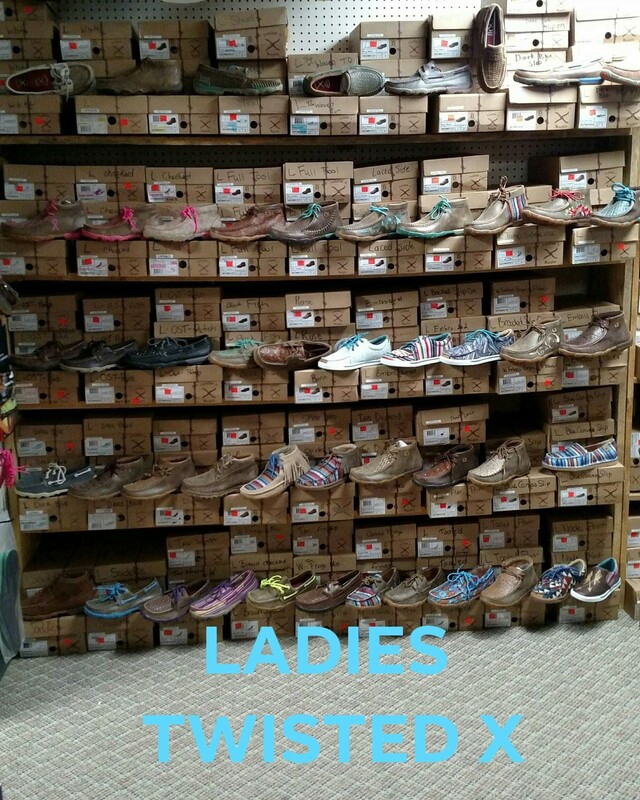 Come to us if you're shopping for any of the below! If riding in arena, on the range or above the plains, SHOP MOSS SADDLES BOOTS AND TACK! Wages, Montana Silversmith, custom orders welcome! Copyright © 2019 Moss Saddles Boot and Tack, all rights reserved.